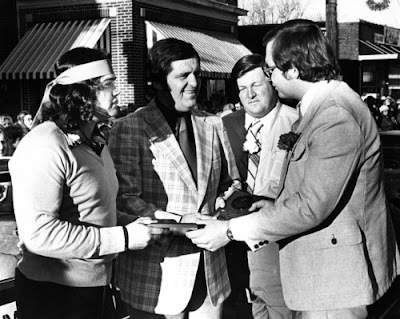 In 1981, Johnny Weaver and Jay Youngblood served as Grand Marshalls for the South Rowan Christmas Parade in China Grove, NC. The annual parade was held each year on the Monday before Thanksgiving. Featured in this photo, taken Monday November 23, 1981 are Jay Youngblood, Johnny Weaver, and local radio and television personality Bill Connell. The person on the far right is David Rogers, a member of the China Grove Parade Committee presenting plaques to Youngblood and Weaver. 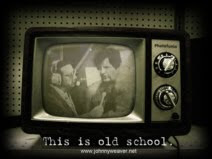 Bill Connell did local TV promo inserts for Jim Crockett Promotions in the late 1970s and later served as play-by-play man for Nelson Royal's "Atlantic Coast Wrestling". He also did broadcasting work for NASCAR*. Later that very same week, on Friday November 27, Johnny and Jay would win the Mid-Atlantic Tag Team championships from Chris Markoff and Nicolia Volkoff in Appalachia, VA.
Photo credit unknown -From the collection of Johnny Weaver. Thanks to Mike Cline for South Rowan/China Grove information. *NASCAR/Nelson Royal info from WrestlingClasscis.com message board. This website is no longer an active blog. All new posts are being hosted at the Mid-Atlantic Gateway. 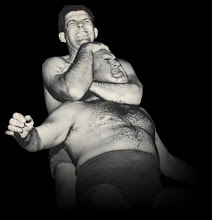 This website is dedicated to the late Johnny Weaver, one of the real legends in the sport of professional wrestling. Special thanks to Johnny's daughter, Wendi Weaver, for her ongoing support of this effort. 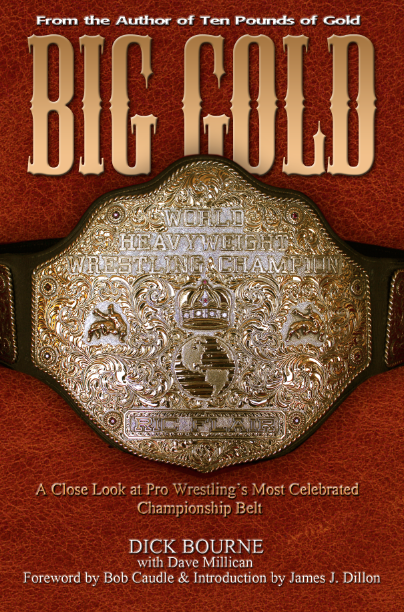 Get Your Copy of Big Gold Today! Thanks to regular contributors to the Weaver Blog and the Johnny Weaver website, especially Randy Hedrick, Carroll Hall, Mike Cline, and Don Holbrook. Also thanks to Peggy Lathan, Mark Eastridge, Wayne Brower, Steve Hall, Thom Brewer, and Jim Nelson. Special thanks to Wendi Weaver. Our heartfelt thanks to the Dean of Professional Wrestling, Johnny Weaver, who approved of and contributed to this website before his death. Rest in Peace.